If you suspect that your spouse is cheating, it’s one of the most painful feelings you’ll ever have in your life. Anxiety and stress can interfere with work, at home and with your friends and family. You’ll probably go to bed at night wondering what to do or if you’re going to lose your marriage. It’s a telltale sign when your spouse wants to do things they have never done before. This behavior in and of itself does not necessarily mean that your spouse is cheating, but when you notice it in combination with other actions on this list, you should be worried. Maybe they want to do something to feel “alive” again, or they have “learned” new things they want to try. Another sign is when the room gets very “cold” when you 2 are together. If your spouse does not want to get intimate with you, it may be because they are getting it elsewhere. Article: 3 Ways To Catch Your Spouse Cheating Without Getting Caught! One of the most common signs of an unfaithful spouse is the story of “working late” or going out to have fun with friends, arriving home very late, and so on. If you feel that your spouse is lying when they say they have to work late, go to work with a surprise snack or dinner. If they are there, maybe your spouse is telling the truth, but if they are not there, you are probably right about your suspicions. Also, consider the behavior of your spouse. Many cheaters try to rationalize their actions by making you seem crazy. However, with evidence, it would virtually make it undeniable. Another sign of a cheating spouse is sudden and drastic changes in their appearance. If your spouse has had the same hairstyle or the same clothing style for years and suddenly they are buying new clothes, changing up their hair, cologne/perfume or something else, this may be a sign that they are trying to look good for someone else. Did your partner suddenly begin to suspect you of alleged cheating? It may be a guilty conscience or a deception used to distract you from them. You may notice that they get angry with you or harass you like never before. If your spouse seems to have gone a little “odd” lately, it could be a sign of guilt, and a sign of a cheating spouse. Have you noticed the lack of money in the bank account, unexplained charges on credit card bills or something similar? That’s another telltale sign that your spouse may be cheating. Unexplained charges could’ve been money used for dinners, dates or gifts for the person your spouse is cheating with. If possible, follow the costs and find out what they are for, you can get your answer that way. Although it’s difficult to handle the suspicion that your spouse could be cheating on you, finding out the truth is often the best thing you can do. 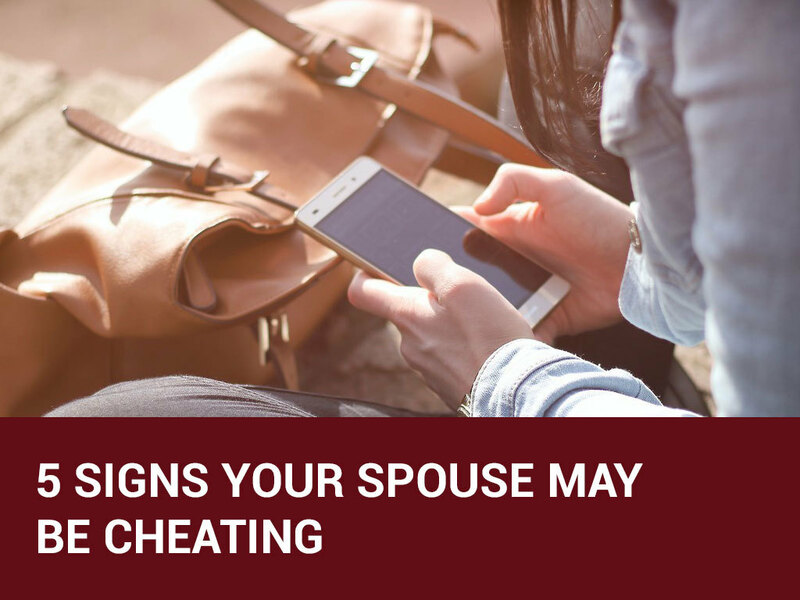 Use these signs to determine if your spouse is cheating or not. And, if you find out you’re still not certain, you may need to dig deeper. Perhaps, reading this article can help. It lets you know what ways you can catch a cheater.